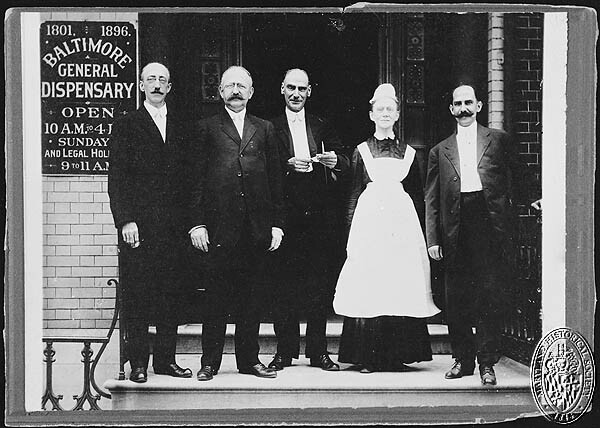 Notes:“The Montgomery County Medical Society held its 2th meeting Nov. 18th, 1890. The following gentlemen were elected officers for the ensuing year. Dr. C. J. Maddox, President; Dr. E E. Stonestreet, 1st Vice-President; Dr. C. E. Iddings, 2nd Vice-President; Dr. Charles Farquhar, Secretary; Dr. Edward Anderson, Treasurer; Dr. W. Frank Elgin, Censor. Notes:INLOES, Dr. Henry August, Jr.
d. 16 June, 1870, Dr. Henry A. Inloes, Jr., in 27th year of his age. d. 16 June, 1870, aged 26 years.